I also know I’m a bit early, as the end of the month isn’t until next week, but I won’t be going shopping again this week so I am going to share it with you now instead! I have never done anything like this before, so I apologise if I ramble too much! I saw these socks in Primark and I literally just couldn’t resist getting them. I can’t actually remember their exact price now but I think it was only a couple of pounds for just three pairs – you can’t go wrong! Again, as you will probably soon find out, I am a nail artist. I probably own every nail polish colour you could think of, but that doesn’t stop me from buying more. I wanted to do a gradient design with orange and yellow – like a sunset. Searching through my box of colours though, I only had a really pale light yellow but I wanted a darker one. Whilst I was at it, I was looking at the other colours I had and decided I would get a new baby blue colour because my old one was almost empty. So.. I went to Boots and as usual, there was a 3 for 2 offer on. I really like these colours. 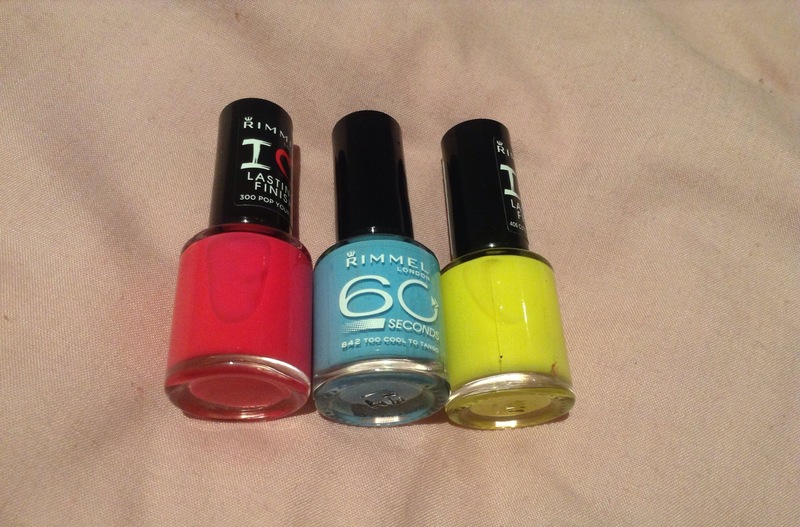 Each of them go onto you nails really well without being streaky, and they dry really quickly. The pink is quite neon, which is a bit different to the pinks I already have which is great! Finding jeans which fit me is a nightmare. I’m a really small girl, both slim and short so clothes shopping can be pretty stressful. Jeans would either fit me perfectly around the leg but were far too long and far too small or big on the waist, or perfect around the waist but far too baggy around the leg. 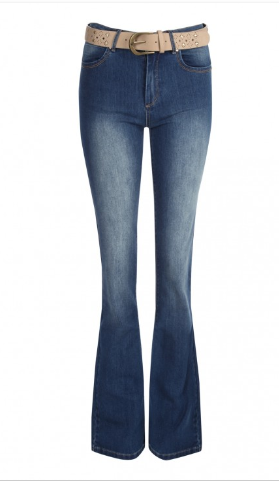 However, I have managed to find jeans from Jane Norman which fit me perfectly in length, around the leg and the waist – perfect!! You have no idea how happy I was to find these. This was the first time in so long that I found jeans that fitted me, so I was completely over the moon. To make it even better, they had £10 off, so altogether they were just £20. I decided to get 2 pairs though, because what are the chances of me finding perfect fitting ones again any time soon? I found this dress in Primark for just £5… ONLY £5! Bargain. It fits me really well, and I absolutely love the colours. Floral print is always pretty, but I thought this dress was so lovely and perfect for the summer, mainly because of the colourful design on it. I think it would look really nice with leggings too! I know winter is pretty much over now, but here in the UK the weather changes it’s mind constantly. 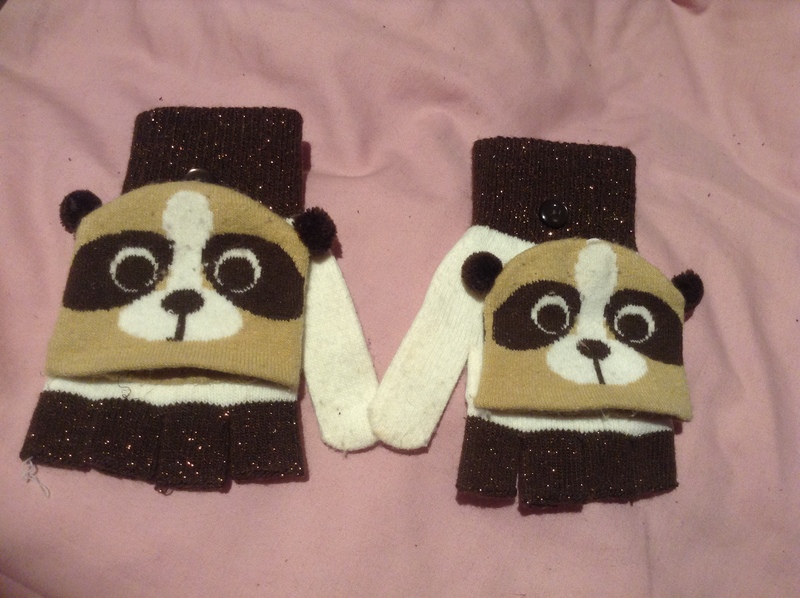 I found these gloves in Primark (again!) and they were just 50p! They are really cute, and I love how they are also fingerless. It makes it so much easier when texting/paying for something rather than having to take your gloves off completely (and usually drop them!).. And then when your fingers get cold you can just pop over the top of them. I got some other things this month, but I want to do reviews on them so I have left them out. 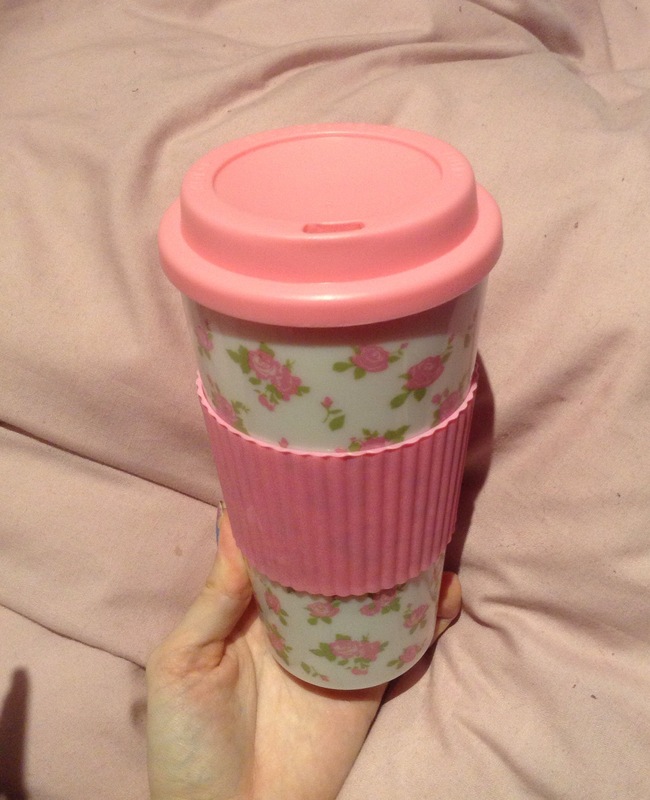 It looks like I have gone a bit Primark mad, but you can’t fault a good bargain! 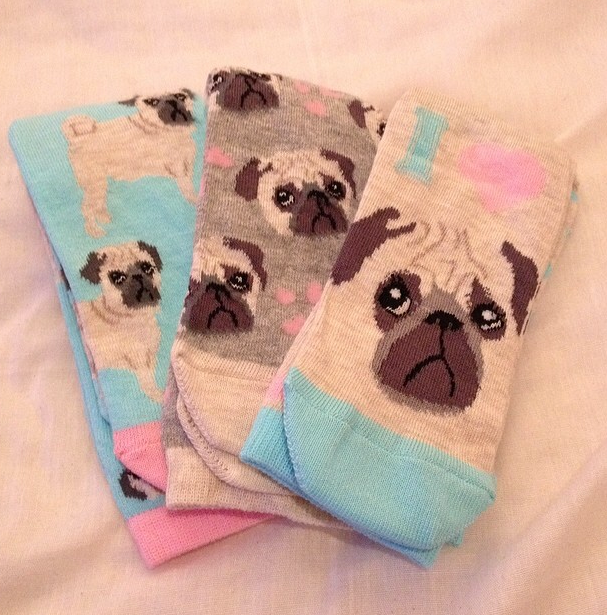 Those Pug socks look great–I bet they are big sellers since the breed is so popular. Yeah I think they were really popular!! All of the things you listed are definitely on my list as well! !